Whether you are a new arrival or a native Texan, it doesn’t take long to recognize the size and diversity of the Lone Star State. From the High Plains of the Panhandle to the tropics of South Texas, the state stretches an amazing 906 miles from north to south. The good news is that Texas is so big that we can all find our own haven in the hills or valleys. Whether you love the deepest woods, the driest desert, the tallest mountain, or the unlimited seashore, winter is the perfect time to sightsee and camp in Texas. The crowds are minimal, so you can have your fair share of solitude in both the campgrounds and on the trails. Here’s where you should venture in the coming months. 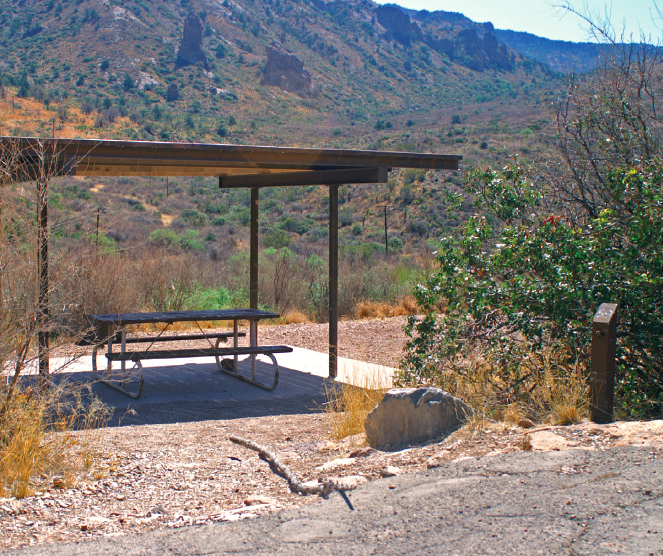 With a captivating panoramic view of the Chisos Mountains, Chisos Basin Campground is one of the most popular camping areas in Big Bend National Park. There are many hiking trails in Big Bend, and some of the best are near the Chisos Basin area. Most notably, the Window Trail has one of its trailheads located in the campground itself. With a round-trip of 5.6 miles and a moderate uphill return, the trail is well worth the effort to see the postcard-worthy Window View. Other trails in the area include the Lost Mine and Basin Loop. Tent camping in the high desert is always a special experience. 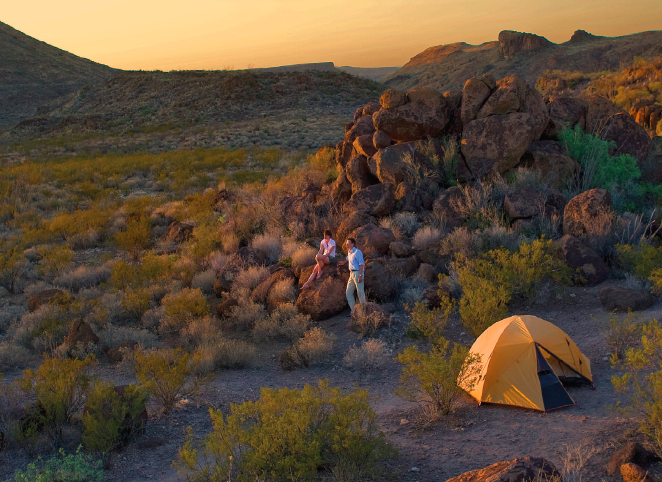 Add in the tallest mountain in Texas at 8,749 feet and surrounding sheer cliffs reaching 8,085 feet, and you have one of the premier tent-camping locales in the state. 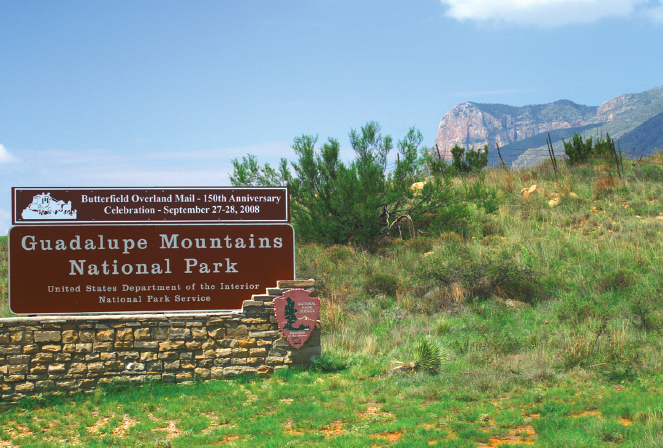 Guadalupe Mountains National Park, which opened in 1972, has 86,000 acres of wild terrain that invite discovery on foot or horseback. Like all deserts, the landscape here appears harsh and almost lifeless when viewed at high speed from an air-conditioned box, but taking the time to embrace the incredible mix of plant life and animals that thrive on the clear, clean, and surprisingly cool mountain air will bring ample rewards to those willing to slow down and stay awhile. 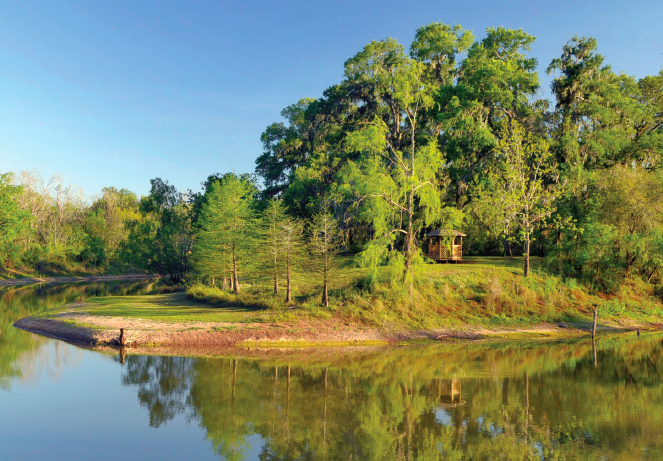 When you are ready to escape the crowded confines of the big city, this special park will take you deep into our early history as Texans and even further—a lot further. The area was not only a part of the original Stephen F. Austin land grant in the 1820s but also an earlier home to the Karankawa Indians, whose reported cannibalistic habits now only seem fitting, considering the park’s most popular current resident, the American alligator. Throw in a specific warning for venomous snakes and you have a good chance to observe wild animals in their habitat. 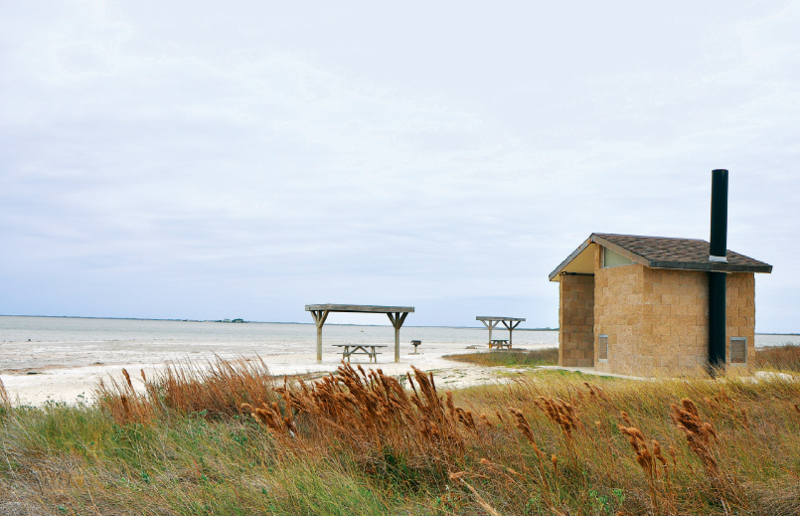 As you leave the city of Corpus Christi, the wide-open spaces of the world’s longest undeveloped stretch of barrier island beckons you like a siren’s song. For those tent campers who live too far inland, a yearly journey to Padre Island National Seashore is an essential requirement for renewing the soul in a way that only a great body of untamed water can. As you look over the waves to an endless horizon, you instantly begin to feel the big city leave you, and a primal connection to the earth returns. Convinced you need to toss your tent in the car and sleep under the (lone) stars? Grab a copy of the new Best Tent Camping: Texas by Wendel Withrow.